Peter Marino has been the go-to architect for most of the world’s most luxurious brands such as Louis Vuitton, Dior, & Fendi. 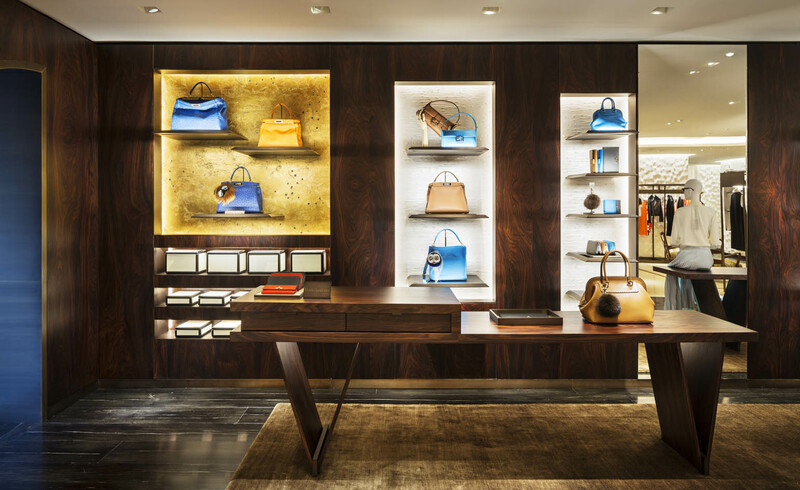 The new Fendi flagship store on Madison Avenue in New York is a culmination of the elements he has been using in all the Fendi stores he has worked on. the architecture is inspired by the brand’s Roman roots and is evident in the external columns and use of Travertine stone. 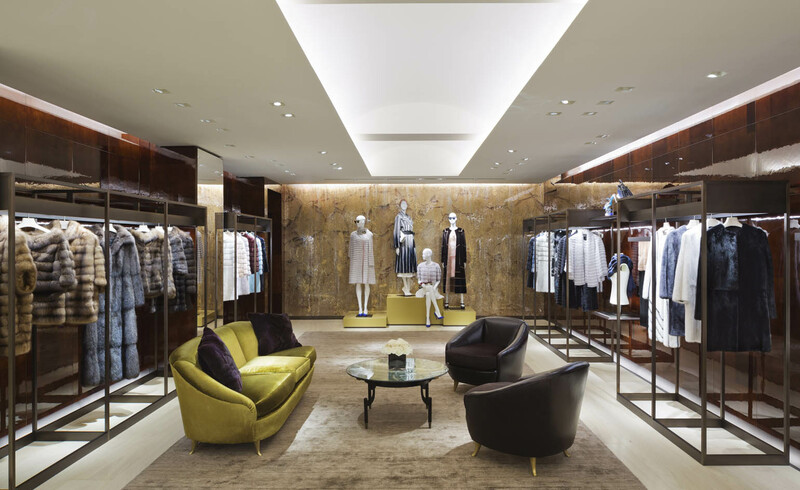 Materials used were mainly Palisander & petrified Indonesian wood,marble, fur, and a glittering display wall of handwoven, gold-foiled leather, and beautiful sculptural wall panels used in the ready to wear area. 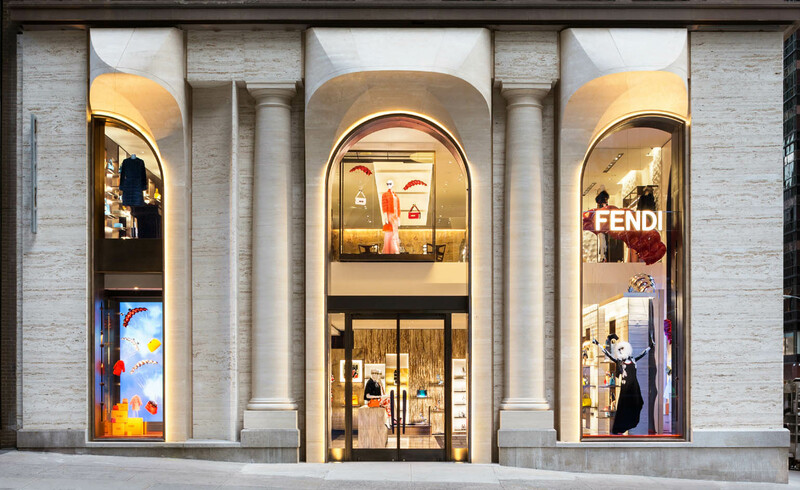 The images above are from the various Fendi shops Peter Marino designed.